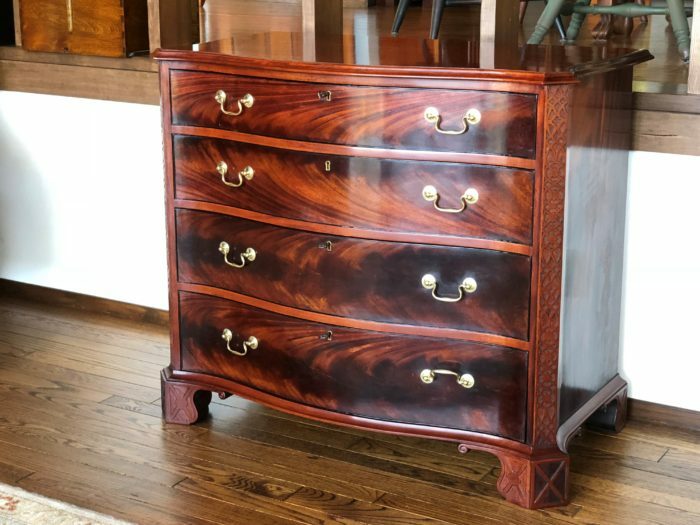 I’ve recently finished the construction of an 18th C. Serpentine Chest of Drawers. It’s one of the most complicated pieces I’ve done, as the shapes create a lot of complexity. This was my first experience with the serpentine shape, and I was not sure how all this would be constructed. Especially confusing were the outward facing canted corners in the front, and the bracket feet. How would these shapes all come together? 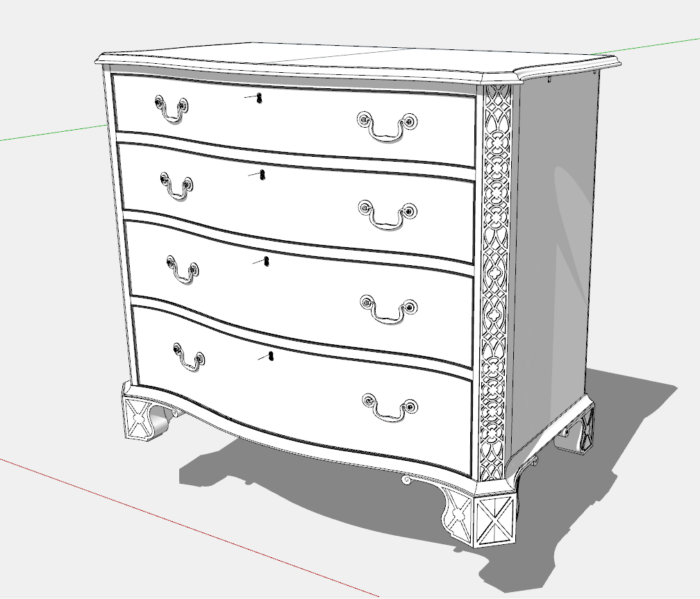 It was only after working the model in SketchUp that I could visualize the various parts and how they would connect. So I’ve prepared a video (its longer than normal) showing the building process, component-by-component. The sequence in the video very much aligns with the process implemented in the shop. 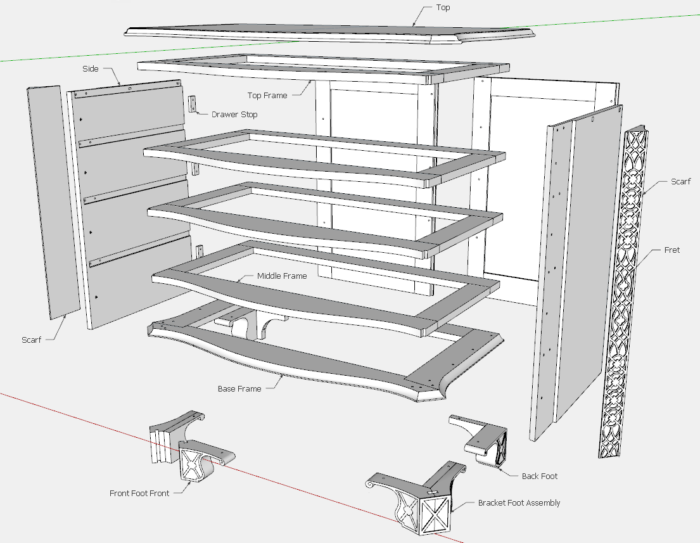 As I’ve mentioned many times before, the SketchUp work is really a simulation of what goes on in the shop, step-by-step. Here are the Assembled and Exploded Views for reference.